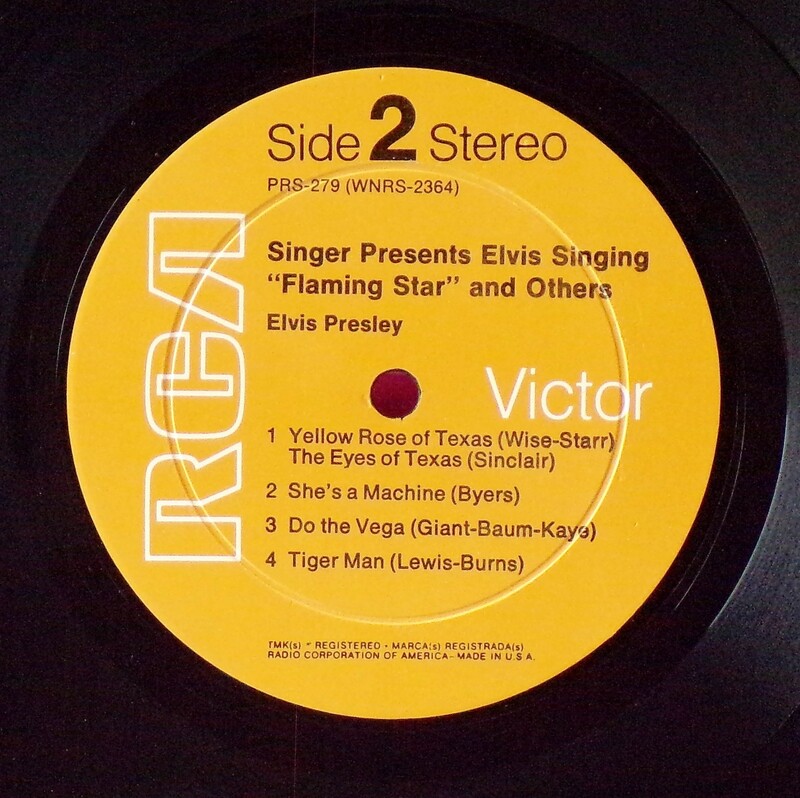 Singer Presents Elvis Singing Flaming Star and Others is the thirty-third album by Elvis Presley, released on RCA Records in stereo, PRS 279, in October 1968. 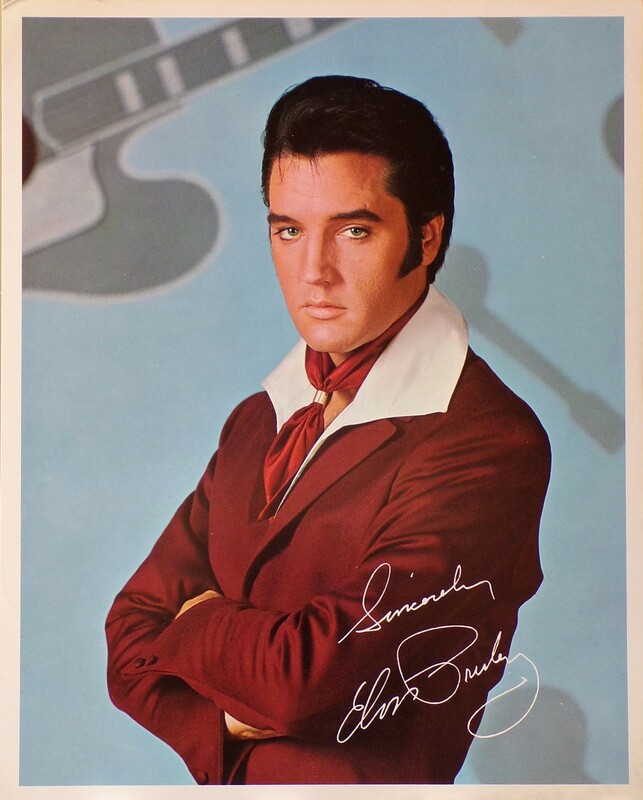 It spent five months available only at select retail stores featuring products by the Singer Sewing Machine Company as a promotional tie-in with Presley's upcoming Christmas television special on the NBC network, which Singer had sponsored. On a further note linked with this release, was a 8" x 10" photo distributed along with the LP. If you are one of the lucky ones to have this photo along with the LP it will add greatly to the value. 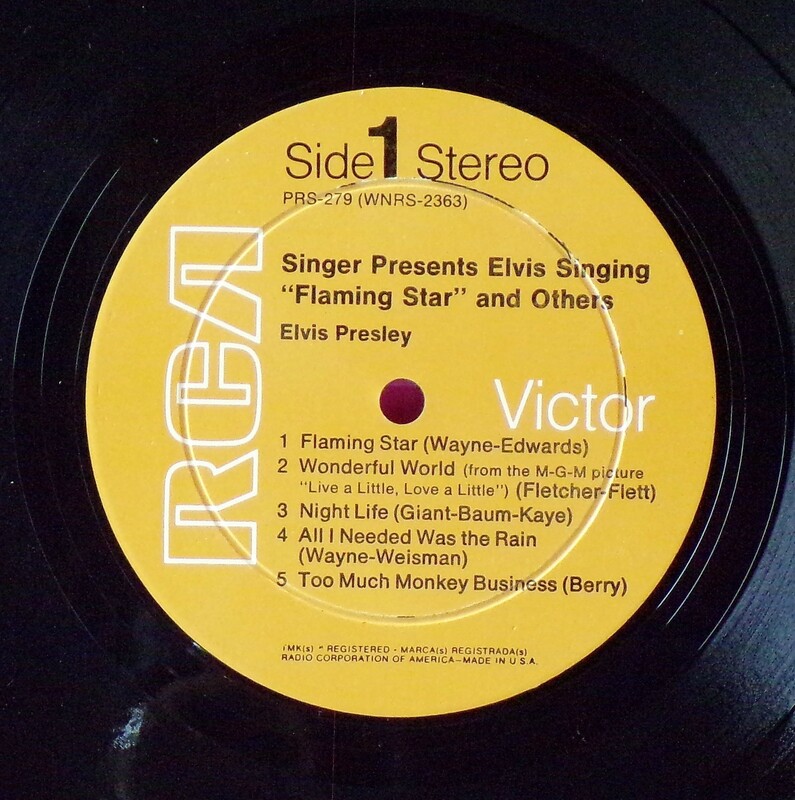 All tracks were compiled from sessions for Presley film soundtracks, with the exception of "Tiger Man" from the Singer Christmas Special. The cover of Chuck Berry's "Too Much Monkey Business" was a warm-up at a session for film songs to Stay Away, Joe. 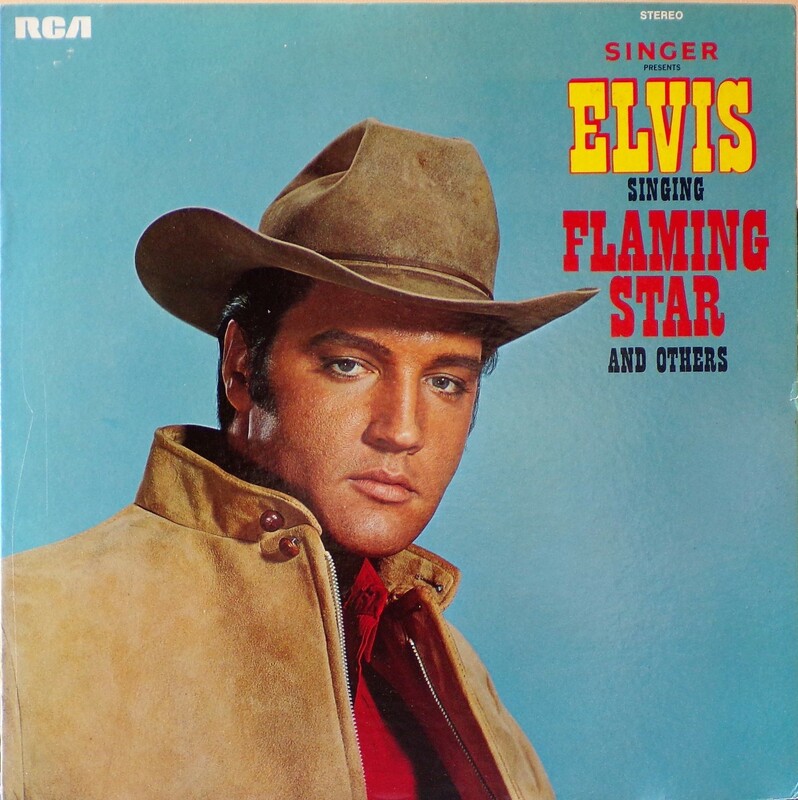 Excepting "Flaming Star," the title song from Presley's 1960 movie of the same title which had been released on the Elvis by Request extended play single in February 1961, all tracks were previously unreleased. The "Texas" medley and "All I Needed Was the Rain" appeared in Viva Las Vegas (1964) and Stay Away, Joe (1967), respectively, while "Wonderful World" appeared over the opening credits to Live A Litte, Love A Little (1968). "Flaming Star" had been one of only two songs performed in that film. The live performance of "Tiger Man" was held off the initial broadcast of the NBC television special, but replaced the segment with "Blue Christmas" for the repeat broadcast of the special in the summer of 1969. 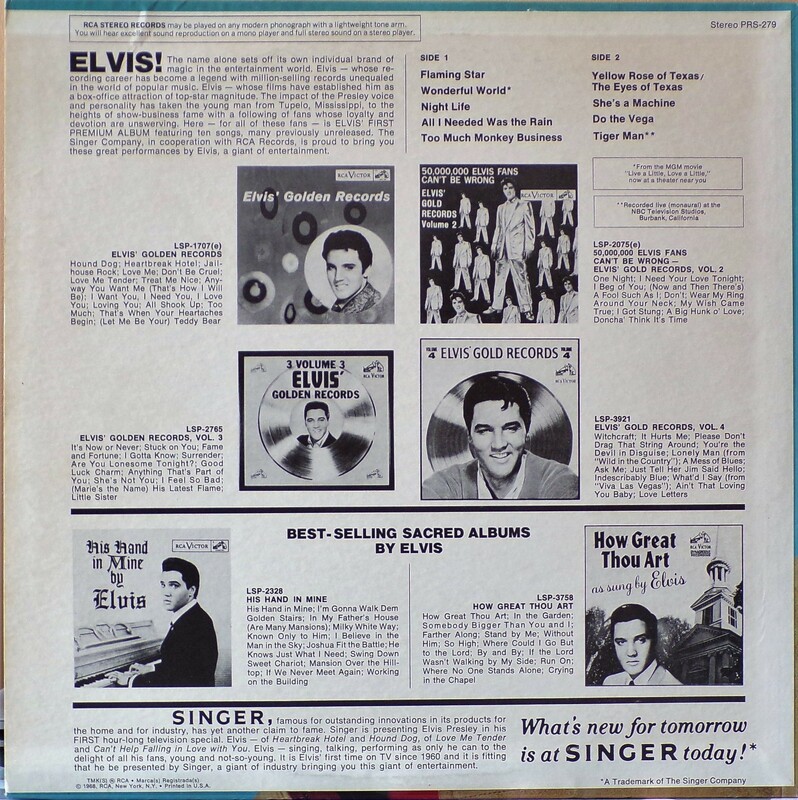 This track has the distinction of being the first live recording by Elvis ever commercially released. The remaining songs were not actually used in their respective films. Front Cover : Photo of Elvis. Title top right. 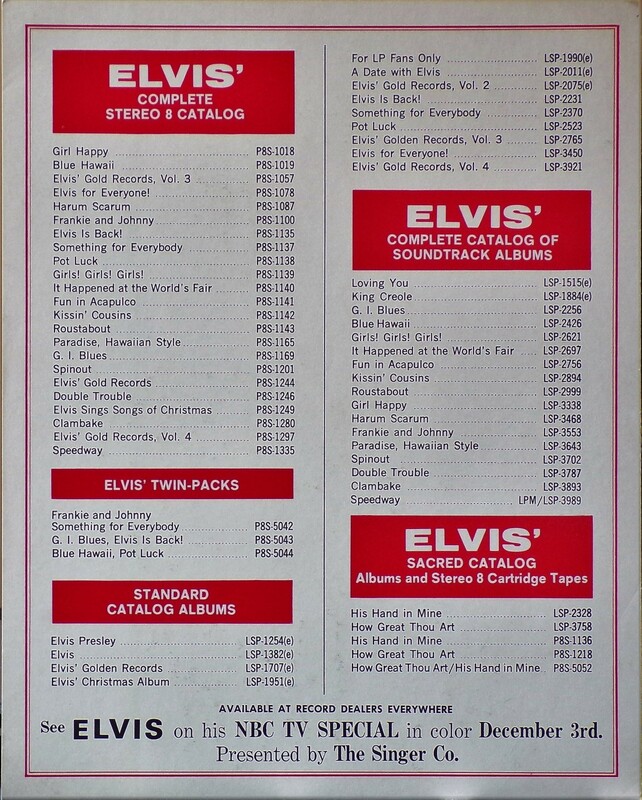 ​​Rear Cover : Advert for 6 Elvis LP's. Catalogue number top right. Printed in U.S.A. bottom left. Label : Mustard Rigid vinyl. Side 1 : Side 1 top of label. Side 2 : ​Side 2 top of label. *NOTE* A 10 X 8 inch photo was given away free for a period during this release.